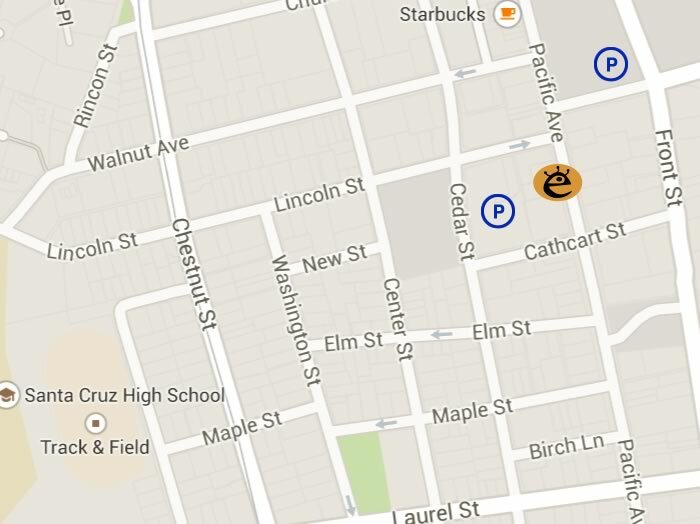 eyeQ is located in downtown Santa Cruz. We are honored to be a part of this community and would like to thank all of our customers for voting us as the Best Optometry of Santa Cruz fourteen times. Stop by and see why our collections and customer service set us apart from the crowd. What types of insurance do we take? eyeQ is located in downtown Santa Cruz. We are honored to be a part of this community and would like to thank all of our customers for voting us as the Best Optometry of Santa Cruz twelve times. Stop by and see why our collections and customer service set us apart from the crowd. We take great pride in searching high and low for the most gorgeous eyewear on the market for our collections. At eyeQ you will never find huge generic brands. We seek out boutique brands that design beautiful products. The doctors at eyeQ have been good friends for years and feel so fortunate to be practicing optometry together since 2000. Their friendship and mutual respect for each other's unique practice style has combined well with their love of optometry. These qualities have created an environment of outstanding patient care and extraordinary service at eyeQ. eyeQ is hosting its annual Face A Face/ Woow trunk show Sunday July 14th from 11-4! 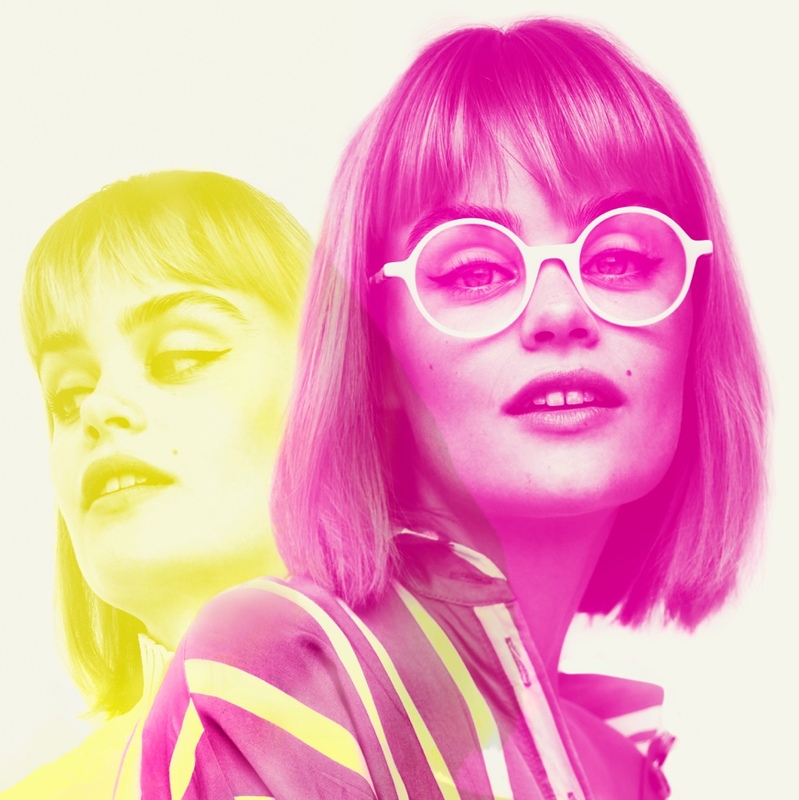 Known for their high end and colorful design, Face A Face has used their latest collection to explore the concepts of light and sculpture as well as synaesthesia-- the ability to physically experience color. These ideas have been beautifully expressed through their latest assortment of frames both ophthalmic and sunglass. Contact us for an Invitation to the Show. Woow once again delights us all with their mix of traditional yet off beat style. 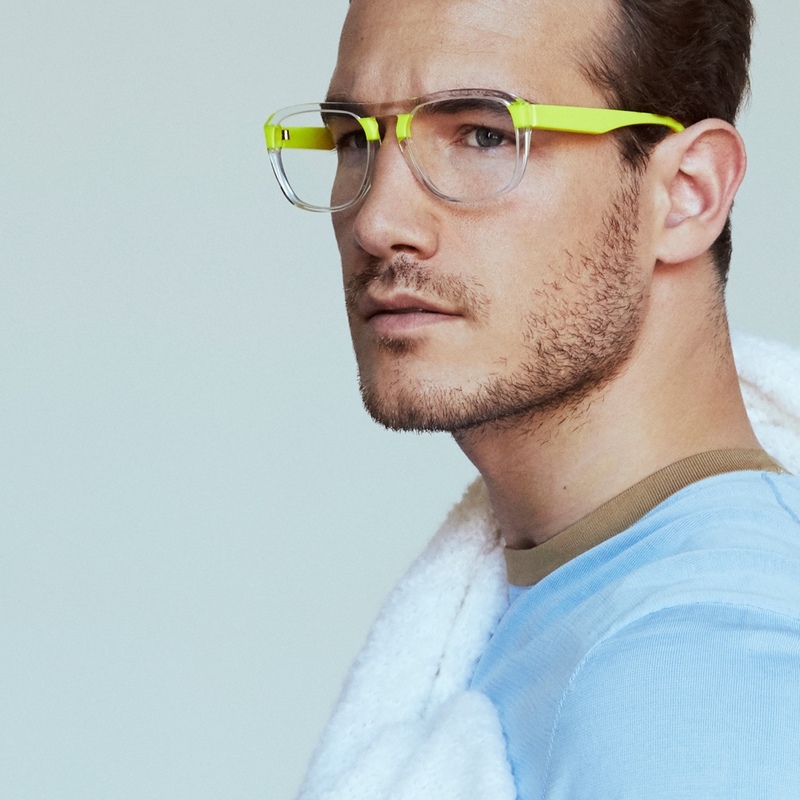 Infused with a touch of humor, this eyewear line is never boring. The newest releases pay homage to 70's street style while incorporating a vibrant and fresh color palette for a modern twist. eyeQ will be offering complimentary anti reflective coatings for all private pay orders during this event. We will also be joined by Birichino Winery offering tastings of their outstanding wine. 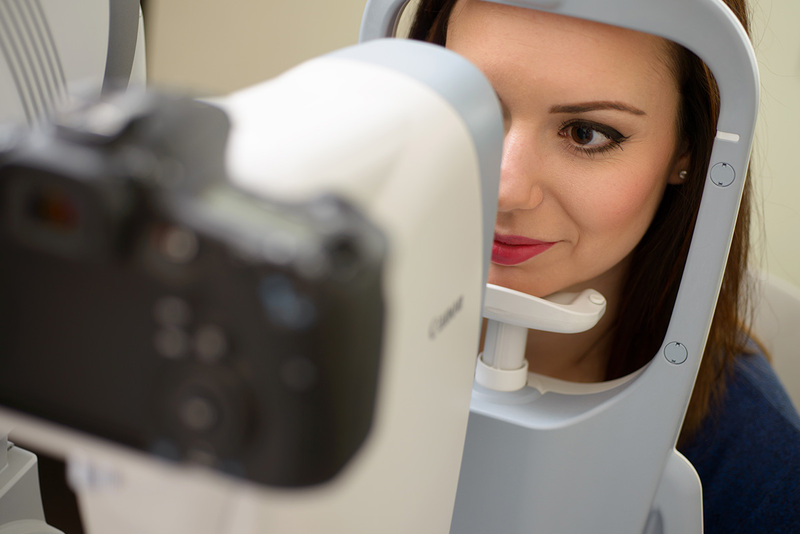 At EyeQ optometry we pride ourselves on having the most advanced technology to facilitate early detection, diagnosis and a management of a multitude of eye diseases including macular degeneration; glaucoma and diabetic retinopathy. Parking behind our building, except on Wednesdays during the Farmers' Market. 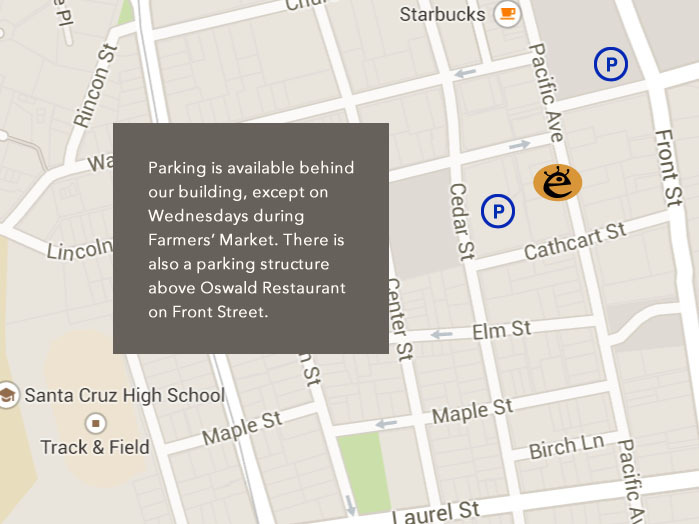 Or parking above Oswald Restaurant on Front Street. We accept most plans from: VSP, EyeMed, MES, SafeGuard, Anthem/Blue Cross PPO/EPO. Blue Shield PPO/EPO, United PPO, Cigna PPO, Medicare, BlueView, UCSHIP, and more. Please call us if you have specific questions 831.466.3937. Our personable doctors perform exams that are very thoughtful and extremely thorough. They are dedicated to listening attentively and addressing the concerns of their patients. The comprehensive exams evaluate: Visual acuity, refraction, binocular vision, accommodation peripheral vision, eye pressure, anterior and posterior segment health. Numerous patients have stated that our eye exams are by far the most thorough exams they have ever received. At eyeQ patients are fitted with a wide range of contact lenses and wearing modalities such as disposables, monovision, multifocals, and rigid gas permeables. We make sure patients are excellent candidates for contact lenses prior to the fit, to help our patients have the best chance of contact lens success. Through the use of careful examination and the latest technology, we are able to diagnose many eye diseases and eye conditions that are secondary to systemic illnesses. Our technology at eyeQ includes: OCT (optical coherence tomography), optomap, fundus photography, and Humphrey visual field analyzer. We are cutting edge with both our training and technology. We have comanaged refractive surgery (LASIK, PRK etc.) with Dr. Furlong of the TLC group for the past 15 years. We assess whether you are a candidate, perform the pre-operative assessment and do the requisite post-op follow up care. Refractive surgery is completely elective. We try to be factually accurate, completely objective with no sugar coating of risks and benefits. We have been very happy with the results and care our patients have received from Dr. Furlong. He has a ton of experience, uses the latest technology, has an excellent bedside manner, and has the backing of North America's largest laser group, TLC. If you are interested in refractive surgery or seeing whether you are a candidate please don't hesitate to ask us. At EyeQ we are proud to emphasize quality eyewear that is competitively priced for a variety of budgets. We focus on innovative, stylish, quality eyewear that is meticulously fabricated in quality facilities in Germany, Japan and France. We try to avoid mass produced lines out of China. We have a number of super light durable frames that have zero screws. Imagine that, no missing screws! We have a very extensive selection of these boutique brands so the best styles and colors are usually represented. We emphasize premium spectacle lenses to complement your beautiful eyewear, This results in the lightest, clearest lenses for your prescription. 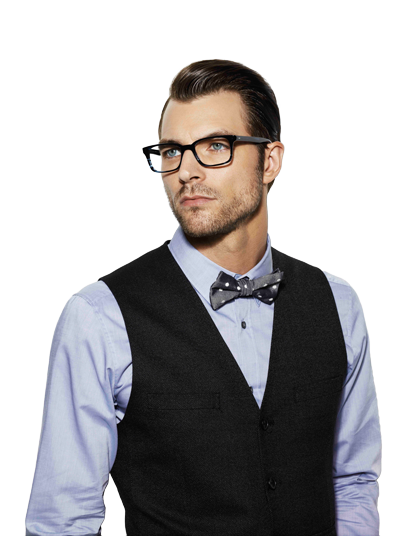 Our goal is for you to have comfortable, beautiful eyewear that gives you the best vision. We have several experienced, knowledgeable, ethical, non-commissioned opticians to help you achieve this goal. If you are planning on taking your prescription and purchasing your glasses online please enquire why this is frequently a poor decision. We promise not to make you feel bad if you ask. Purchasing online is part of our culture and often works well for many items like hp inkjet cartridges but it frequently doesn't work well for glasses. Our desire to save money by buying glasses online often backfires. 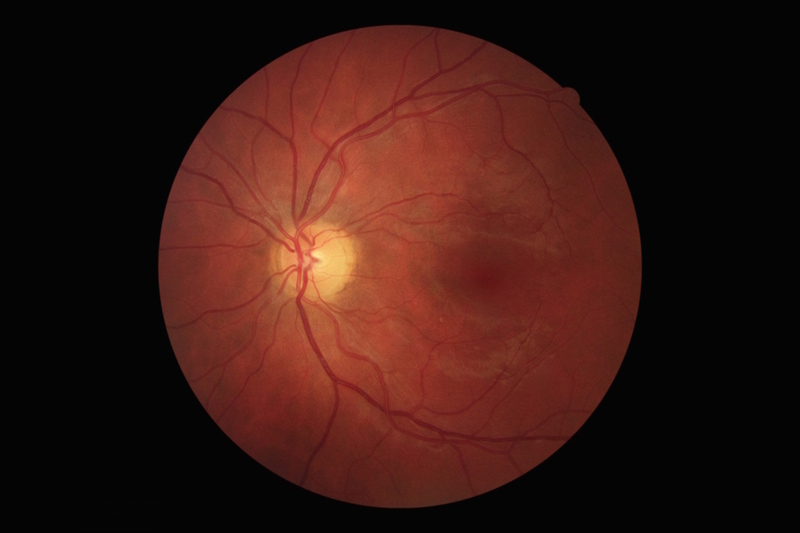 At EyeQ optometry we pride ourselves on having the most advanced technology to facilitate early detection, diagnosis and the management of a multitude of eye diseases, including macula degeneration; glaucoma, and diabetic retinopathy. OCT or Optical Coherence Tomography represents the biggest breakthrough in medical eye technology in decades. Our Avanti spectral domain OCT by Optovue, by all accounts the most powerful OCT around, allows us to look directly into ocular tissues simply by using reflected light. It is quick, painless, safe and has a resolution far superior to that of an MRI. It greatly enhances the early detection and diagnosis of multiple pathologies and allows us to see things we might not ordinarily see by looking into the eye. Please inquire about the Optovue's iWellness Scan. The OPTOS Daytona, the widest retinal imaging device in existence, delivers a digital panorama (optomap) of up to 200 degrees through a nondilated pupil. It is often an excellent alternative to dilation with the benefit of instant documentation/ baseline but without the inconvenience of dilation. Sometimes we might recommend both an optomap and traditional dilation to capture the advantages of both methodologies. This technology is invaluable for detecting and monitoring diabetic retinopathy. The OPTOS is unrivaled for documenting more peripheral retinal pathology. Our Daytona also comes equipped with FAF fundus autoflorescence technology. FAF and spectral domain OCT represent the new standard for monitoring patients on plaquenil. Our Canon CR2 18mp digital fundus camera is excellent for documenting central retinal pathology. It is invaluable in capturing stereo optic nerve photos a mainstay for glaucoma detection and management. We also have an anterior segment camera for documenting pathology in the front of the eye. We use 2 different peripheral vision analyzers at EyeQ. Virtually every patient gets a screening peripheral vision test (visual field) using the very sensitive Matrix frequency doubling perimeter. Patients who have glaucoma as well as those at risk for getting glaucoma are monitored using the gold standard- the Zeiss Humphrey perimeter. Our Zeiss also comes equipped with guided progression analysis software. Our philosophy is to judiciously use technology to provide the best eye care possible. Dr. Daniel Shen received his bachelor’s & doctorate degrees from UC Berkeley. During Optometry school he helped organize a student trip gathering and bringing thousands of used eyeglasses to the Dominican Republic to provide eye exams & glasses in small villages. After graduation, Daniel served as an officer at David Grant USAF Medical Center. In this large hospital, he treated thousands of patients from young children to retirees. Dr. Shen also traveled with the Lions Club to Bolivia on an eye-care mission. Dr. Shen established eyeQ Optometry with Drs. Stephanie & Noel Krok in 2000. Their goal was to provide excellent personal service and high quality eyewear in a very nice, comfortable, inviting setting. Dr. Shen enjoys helping patients and taking care of their visual needs with very customized prescriptions and “out of the box” solutions. He strongly encourages a healthy lifestyle as part of maintaining healthy eyes. Daniel is personally very appreciative of technological advancements in eyewear. Getting his first glasses in 8th grade, (back in the dark ages, the choices were thick ugly brown or thick ugly black) and later hard contact lenses that popped out during sports. He now enjoys high-tech, lightweight, impact resistant progressive lenses, and single use soft contact lenses for sports and running in the rain. Santa Cruz has been home for 20 years. Dr. Shen loves the friendly people, the independent spirit, and the amazing environment. He appreciates the proximity to many wonderful nearby destinations, the fabulous weather, and the ability to walk, run, or bike everywhere. He loves spending time with family & friends, running, music & guitar, biking, travel, movies, and enjoying good food. Dana Richter grew up in Ann Arbor, Michigan, where she went on to earn a Bachelor of Science in Biology and Masters degree in Public Health at the University of Michigan. Dana earned her Doctor of Optometry, with honors, from the Illinois College of Optometry, which included training in ocular disease, contact lenses, binocular and pediatric vision. Dr. Dana Richter sought a contemporary practice with a welcoming environment and exceptional staff. She is more than pleased to have joined the eyeQ team in 2014. Dr. Richter is eager to address your individual needs and help you obtain optimal eye health and sharp and comfortable vision, with style. Dr. Stephanie Krok attended UC Berkeley where she earned a Doctor of Optometry degree in 1995 and was the recipient of the VSP award. This award is given to two students who demonstrate excellence in clinical and academic performance. Stephanie travelled to Guatemala with VOSH and to Zimbabwe with Rotary International to render eye care to underserved communities. For the first five years of her career Dr. Stephanie practiced in a busy ophthalmology practice perfecting her skills and gaining experience with all types of primary eye care. 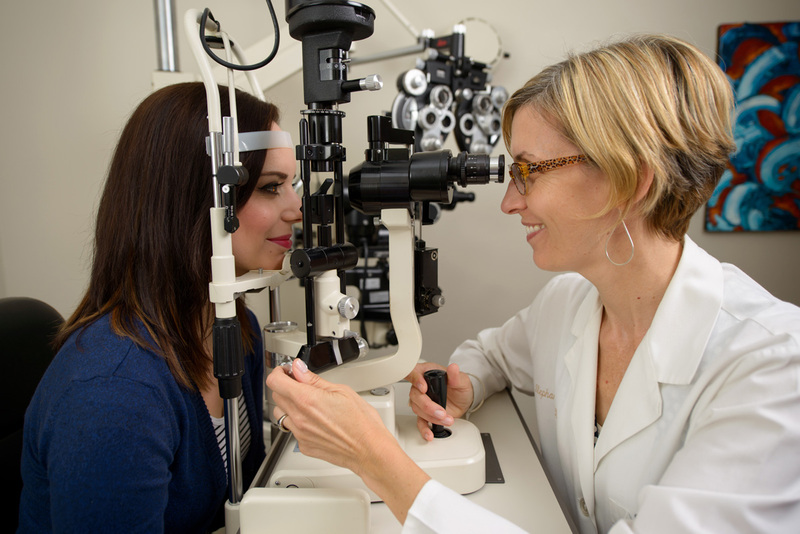 Since 2000, Stephanie has been in practice at eyeQ Optometry where she utilizes her broad range of knowledge to ensure all of her patients receive the best care possible. Stephanie’s caring demeanor and genuine desire for her patients’ overall well-being makes her an ideal doctor for patients of all ages. Dr. Stephanie loves what she does and it shows in every thorough exam she performs. Noel Krok grew up surfing the subtropical waves of Durban, South Africa. At the age of 19 he moved to the Bay Area with his family where he attended UC Berkeley and obtained his BS in Nutrition and his Doctor of Optometry Degree in 1994. A highlight of his optometric training was participating in the Rotary International Vision Screening in Zimbabwe with Dr. Stephanie. He was awarded the Designs for Low Vision award and accepted an invitation to complete a Low Vision Residency. After 9 years in Berkeley, Dr. Noel was drawn to Santa Cruz by its natural beauty, great weather, laid-back vibe, and the surf culture. Before opening EyeQ with Dr. Stephanie and Dr. Shen in 2000, Noel worked for a few local OD offices gaining experience and coming to the realization that he didn’t want to wear a white doctors coat. While Dr. Noel is casual and forthright, he is very diligent, progressive and driven to provide the best possible care to each of his patients. His guiding principle is to treat patients as ethically and respectfully as he would wish to be treated. When not spending time with his two boys, Dr. Noel enjoys hiking Fall Creek, organic gardening, meditating, and bush tennis.